In real estate sales vendors are relying on the exclusive agents’ ability to understand their properties “highest and best use” – in a tough market even more so. Historically local agents have shied away from researching and fully understanding planning controls such as site FSR, height limits and permitted uses under current zonings. This should be part of any agents core skill set, providing additional services around town planning and development to better assist their vendor is key in adding value. A few years ago I enquired with a local agent about a prime dual fronted site in an exclusive beachside suburb of Sydney. The agent didn’t even mention the redevelopment potential of the block even though a few doors up the exact same sized block was under construction to build a duplex. This agent didn’t take the time to research his listing to its full extent, not fully marketing to developers really sold the listing short. Agents need to ensure the best outcome for their vendors and fully understand and actively market the development potential of their listing if applicable. Simply placing STCA on your signboard should only be the start of your marketing plan to developers. Attending local community events on potential rezonings, understanding the local LEP and DCP controls and having a good understanding of state government’s mandated growth areas will ensure you can advise your vendor of the potential current and long term value of their asset. Having a go-to town planner that can look at your listing and provide you with a quick planning overview is also a great way to ensure you haven’t missed anything. Your vendor will appreciate you explaining all of their options and providing them with as much information as possible so they can make informed decisions. You may be able to assist them with a short term equity release solution to allow them to hold their asset until the market improves. 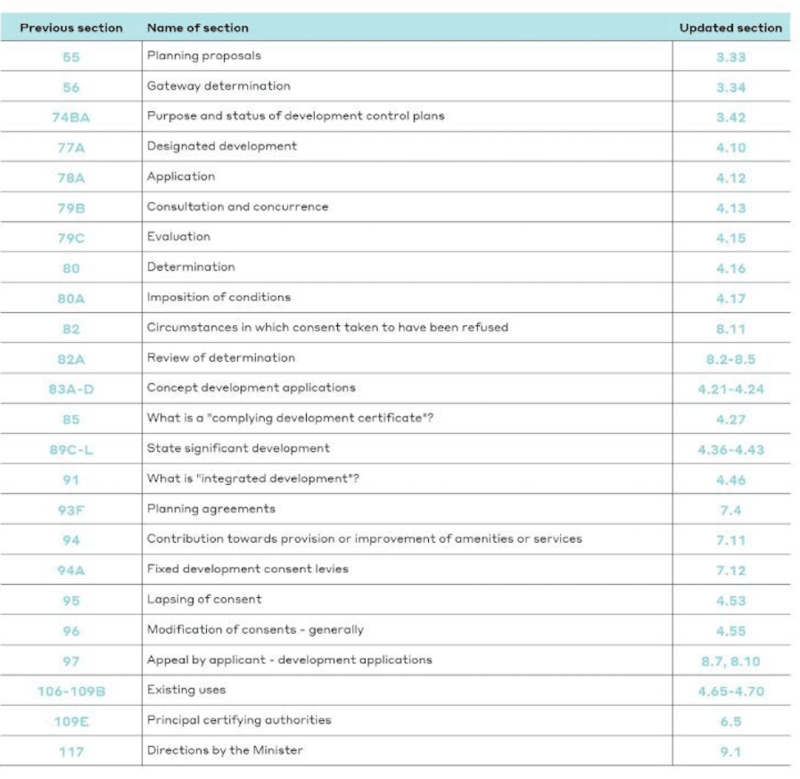 If your vendor is open to development upside risk you could discuss the strategy of selling the site with DA approval. 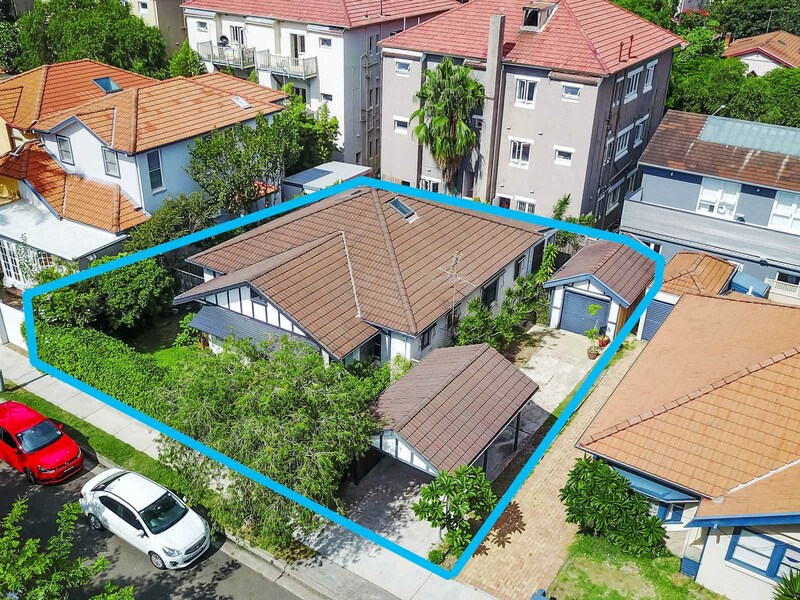 An alternate strategy could be to examine the “optioning up” of the property to a developer which could maximise the sale price in today’s market. You can be sure they will appreciate your advice given you have demonstrated you haven’t just gone for the hard sell option. Our mission is to provide greater opportunity to property industry stakeholders through financial technology. Our platform links like-minded property investors, developers and financial professionals allowing superior networking and business reach resulting in better deals. Contact CPC to better understand the full development potential of your site to maximise the value of your asset. There are now numerous non-bank funding options available to developers and no shortage of lenders ready to deploy capital into quality projects with sound fundamentals. The sector has matured over the last 2-3 years but there are many pitfalls (and a lot of jargon which we explain in the guide) to navigate. This guide looks to inform and assist developers considering non bank options for their projects. As we move forward into a new year strong headwinds have emerged for developers on many fronts, here are 5 key issues if you are considering developing in 2019. The lending environment has changed with banks exiting and private lenders emerging. If your current feaso assumes low-interest rates and optimistic timelines do yourself a favour and bite the bullet. Smarter developers are allowing higher finance costs and factoring of common delays to reach you project milestones (e.g increased presales timeframes and push back of construction start dates). Forget working with the major banks they may offer a good headline rate but will at some stage move the goalposts on you causing further delays and impact on your bottom line. Revise your feaso to be more pessimistic, its no time for optimism your only kidding yourself. If you are a small to mid-sized developer right now you should avoid developing sites that require rezonings or significant developer (or government) contributions towards key infrastructure. Governments are constantly in flux and key service providers (e.g Sydney Water, RMS) are inefficient and disinterested in your infrastructure problems. Many government announcements are made for political reasons but not all projects are funded and virtually none get delivered on time. Focusing on areas that don’t rely on rezonings or major infrastructure will provide you with tangible outcomes. Smaller boutique projects in established locations will be well positioned into 2019. Presales are a numbers game, smaller projects mean less required for finance approval. With banks tightening their criteria for construction funding qualifying presales are taking longer to achieve. Private lenders who understand property are now gaining market share by offering competitive interest rates and lower presales (some offer construction funding with zero presales). Privates will work with you to ensure your project revenues are not capped and will allow flexibility if market conditions keep changing. You may have to pay private lenders higher interest rates but getting your project under construction on reasonable terms will give you more options at completion. You should see your lender as a project partner at all stages of the development journey. 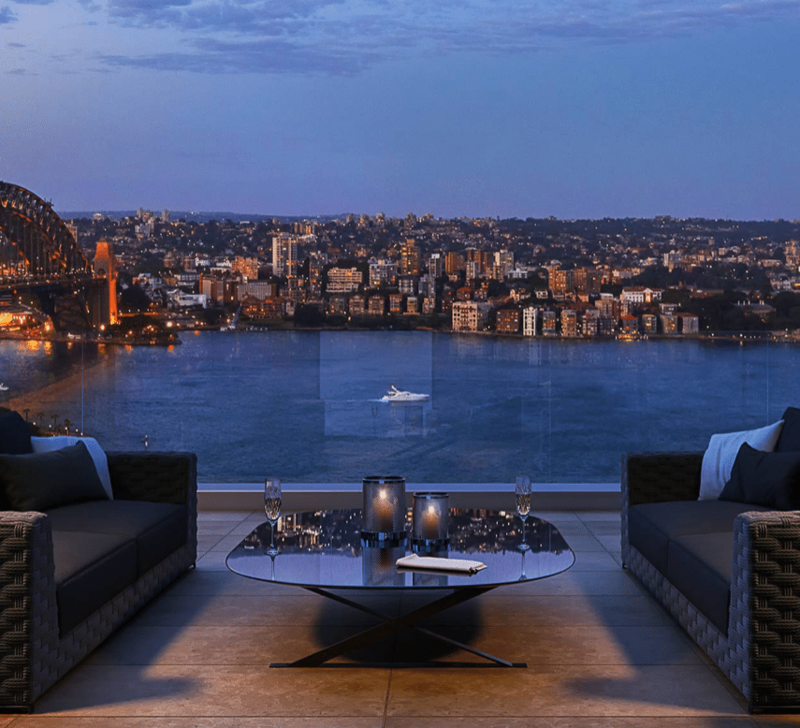 Momentum continues to slow in Sydney as the market reaches balance. Recent sales indicate prices are flattening out and falling in pockets of oversupply. A soft landing is forecast in Sydney, however, developers should be cautious in the pricing of unsold stock. Allow in your feaso for contingencies such as incentives, increased sell down periods and completed stock holding costs. If you rate of sale has slowed or stopped altogether your price point needs review. In Sydney year on year tender inflation is +4.5% this equates to a +25% increase in building costs over the last 5 years. This is a big risk to your projects quality and feasibility. Be wary of builders who are providing you with seemingly cheap pricing – do your research on their track record and financial stability prior to signing a contract. If you are unsure about the construction costs in your market engage a QS to provide you with high-level current cost information so you can have a better idea of pricing expectations prior to design finalisation and tender stage. 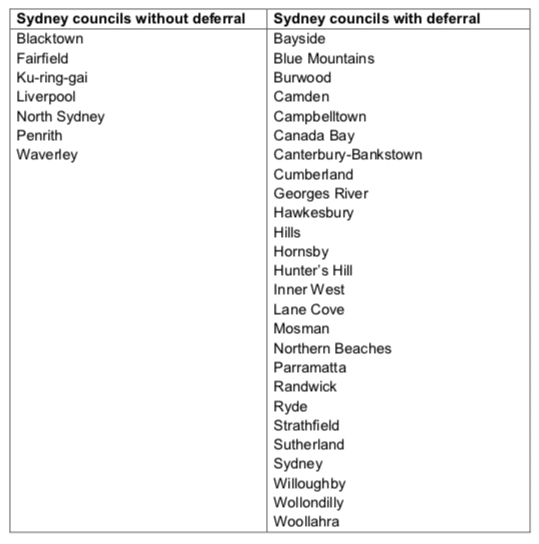 Legislation designed to allow developers clarity around low rise housing has spectacularly failed to deliver in 47 LGA’s – providing a major blow to housing affordability in Sydney. Sydney needs 41,250 new homes each year over the next 20 years. This move will impact supply resulting in more people continuing to be priced out of Sydney. The state governments back down to allow local government’s further time to assess the impacts of the New Medium Density Housing Code is yet another example of the lack of cohesion between the local and state government departments. The perfect storm of planning approval delays, lack of planning certainty and tightening credit markets are all impacting developers bottom line feasibilities and profits. These all add up to challenging times in the development space. ensure a consistent approach to the good design of medium density housing across NSW. As we move well into 2018 significant trends that align both investors and developers are emerging in the private lending space. Private lenders entered the market in a big way last year, they were seen as the expensive option of last resort. This is now changing as the private lending market is taking a bigger share of overall development funding. Why go private? The many benefits include flexibility with LTV ratios, lower presales hurdles and flexible repayment terms. Speed to settlement and funding decisions are made on the spot and can be relied upon. 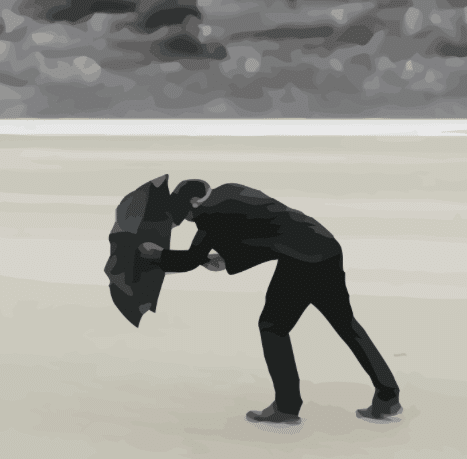 Most developers have recently been hit with a perfect storm of events. Whether it’s lack of funding to settle sites under option or construction stage most developers are experiencing restrictive levels of developer equity. The realities are starting to bite. Presales are slow, site holding costs are eating into profits and construction costs continue to rise. Many developers have been forced by the banks to lower pricing on off the plan sales to reach high presales hurdles. This results in project revenue becoming capped in turn damaging bottom line profits. Savvy developers are benefiting in many ways from these less onerous private funding channels. Privates are becoming true business partners who will likely back not just their current project but also their future pipeline. CPC provides developer advisory services to determine our clients short and long-term funding needs. We are connecting investors and developers with cost-effective opportunities that weren’t around months ago. See below for our latest offerings and contact us today to discuss private lending options if you want to get your project ahead of the curve. * Rates will vary depending on the projects location, stage of development and private lenders appetite for risk. A $20 billion plan to transform Western Sydney into an economic powerhouse replete with an airport city, aerospace institute and North-South rail link was announced by Malcolm Turnbull, NSW Premier Gladys Berejiklian and eight local council mayors on Sunday morning. The “historic” partnership has been signed off by all three levels of government and involves a multi-billion-dollar plan to invest in infrastructure as the region’s population grows from two million to three million people by the early 2030s. At the heart of the 20-year plan is the Western Sydney Airport at Badgerys Creek, which will adjoin a fully-intergrated “aerotropolis” – creating a metropolitan centre that develops its own infrastructure, land use and economy. The federal government has pledged a $5.3 billion investment in the Western Sydney Airport. Prime Minister Malcolm Turnbull said that the airport will be the catalyst for 200,00 new jobs for the region. Under the plan the federal and NSW governments have committed to fund the $7 billion North-South rail link, from St Marys to Badgerys Creek via the new airport, 50-50. Turnbull said that “the objective is to have the rail open and operating when the airport opens” in 2026, describing it as part of the government’s commitment to nation-building infrastructure. The NSW and federal governments will jointly fund a $100-million business case to investigate possible station sites for the new rail link from St Marys to the airport site at Badgerys Creek, 50 kilometres west of Sydney’s CBD. 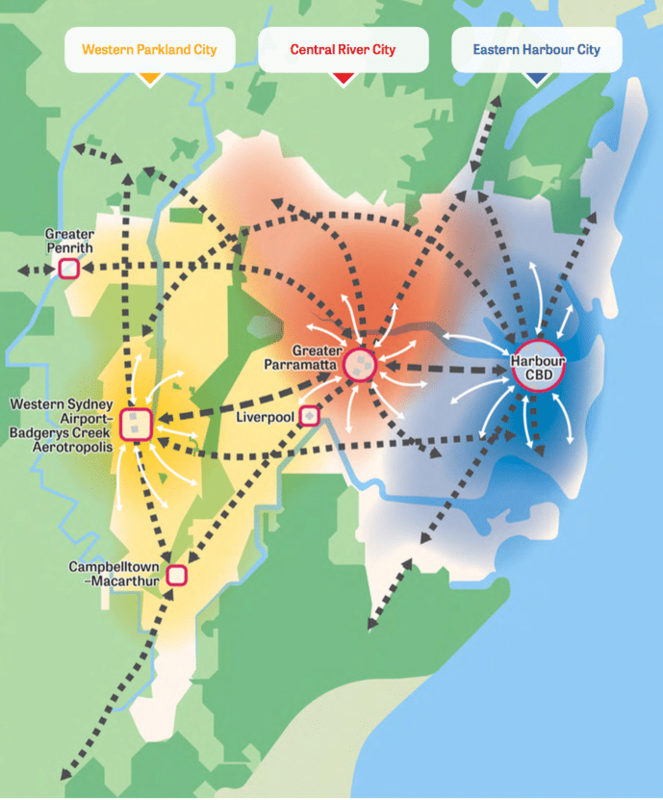 The Badgerys Creek Aerotropolis, part of which will include commonwealth land at North Bringelly, is a metro area adjacent to the western Sydney airport zoned for manufacturing, research, medical, education and commercial activities. 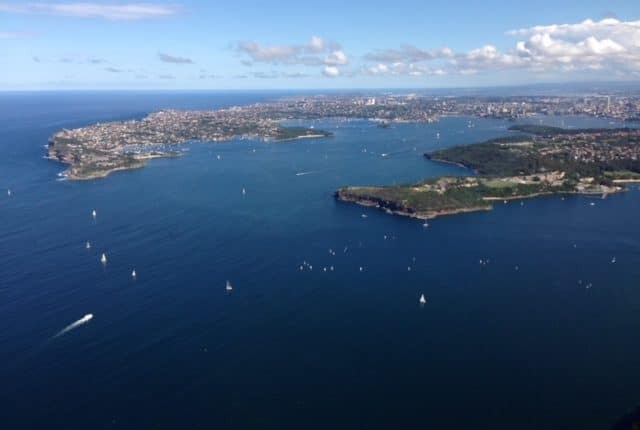 NSW premier Gladys Berejiklian said the deal was a nationally significant announcement: “This is about putting western Sydney on the map globally. We open a new chapter here”. The plan includes the introduction of smart digital technology, STEM-education facilities to train skilled workers for the airport city, rapid bus services linking Liverpool, Penrith and Campbelltown with the aerotropolis and an investment attraction office to attract investment. The government also announced a new planning regime to cut development costs and boost housing supply. Western Sydney Leadership Dialogue chairman Christopher Brown said that the north-south connection was a steel spine for the region. “Badgerys Creek Airport represents a new era for the region and it is vital that our booming cities in the south-west and north-west are connected to it, from the outset. 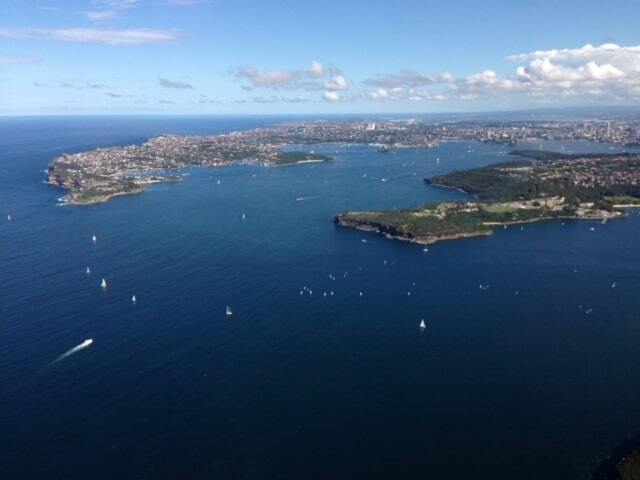 This is, after all, not Sydney’s second airport, but Western Sydney’s first airport,” he said. 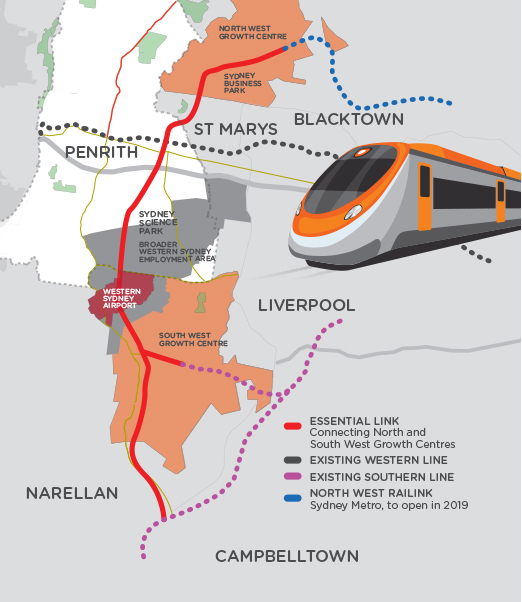 Brown said that the north-south link, along with the West Metro, which connects Sydney to Parramatta, were the two most important transport projects for Western Sydney when it came to employment generation, improved livability, housing affordability and reduced congestion. Foley said a State Labor Government would deliver the rail link faster because it would not build the Northern Beaches Mega Tunnel nor waste $2.5 billion on stadiums. “Our focus is Western Sydney,” Foley said. Buyers are emerging for some of Chinese developer Dalian Wanda Group’s prime development assets, including in Australia, following pressure on Wanda last year from the Chinese government to rein in offshore investments. The South China Morning Post is reporting that China’s Guangzhou R&F has bought the One Nine Elms hotel and residential project on the south bank of London’s River Thames. According to a stock exchange filing Wanda Hotel Development said it would sell a 60 per cent stake in Wanda International Real Estate Investment, which was established to invest in the Nine Elms Square property project, in a deal worth $815 million. The remaining 40 per cent stake, held by Wanda HK, which also owns Wanda Hotel, will also be sold, according to the filing. 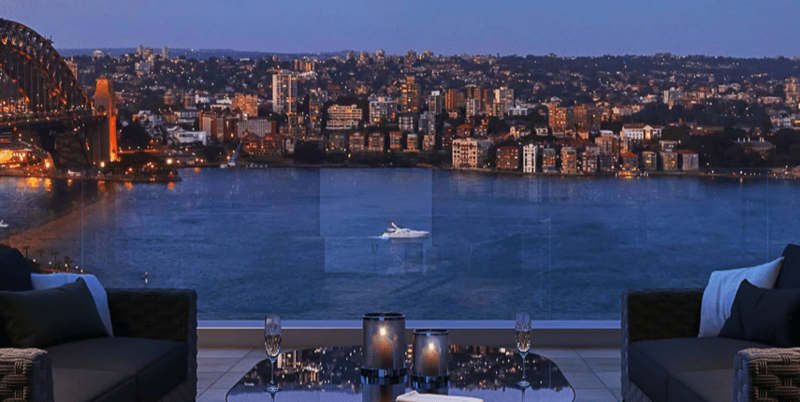 It is understood that another Chinese property developer, Yuhu, is in exclusive talks with Wanda to buy its two Australian landmark assets in Sydney and the Gold Coast for more than $1 billion. Demolition work is underway for One Circular Quay to be constructed on the site of Gold Fields House at 1 Alfred Street, Sydney, which will feature 190 luxury apartments and a 181-suite five-star hotel. Gold Fields House was purchased for nearly $490 million in 2015. On the Gold Coast, construction of beachfront Jewel at Surfers Paradise is well advanced with completion expected in 2019. The three towers will comprise 512 apartments and a luxury hotel. The Chinese central government has been ramping up pressure on Wanda to cease its international expansion and reduce its debt. The government has imposed controls over outbound investment in property, hotels and other industries. Last month it was revealed that Yuhu paid legal expenses for Labor senator Sam Dastyari in 2014. Dastyari has since announced he was quitting politics amid scrutiny over of his associations with a Chinese businessman and political donor. He will formally resign next week. Marketplace lending provides a source of funds to consumers or businesses made possible via financial technology. The ability to provide funding though non traditional channels allows businesses owners and consumers to access new forms of capital that weren’t accessible a few years ago. So just how popular is marketplace lending? The growth of this alternative lending sector continues as more investors understand the risks and feel comfortable dealing with online marketplaces. ASIC recently published its findings on the growth of online platforms, the regulator plays a major role, ASIC annually provides a marketplace lending survey. Loan origination fees remains the primary source of revenue for marketplace lenders. For further information on the survey and findings click HERE.